Chicken Parmigiana is a popular and easy to make Italian dish ideal for dinner where chicken breasts are coated with breadcrumbs, cooked, topped with a tomato sauce and cheese. Best served with pasta or noodles. 1. Heat butter in a pan over medium flame. 2. saute the onion and garlic until tender. 3. Add the tomatoes, sugar, salt and pepper powder. 4. Bring to a boil and reduce flame. 5. Simmer for 10 minutes, stirring from time to time. 6. Add coriander leaves and stir once. 7. Remove and keep the sauce warm. 8. Cover the chicken fillets with plastic wrap and pound lightly using a rolling pin or mallet. 9. Mix the breadcrumbs, 1 tblsp parmesan cheese and oregano. 10. Whisk the egg and milk together in a bowl. 11. Dip the chicken in the egg mixture and coat with the breadcrumbs. 12. Heat oil in a large pan over medium flame. 13. Cook the chicken for 2 to 3 minutes on each side or until golden. 14. Transfer to a plate. 15. Spoon the sauce over the chicken. 16. Sprinkle the mozzarella and parmesan cheese on top. 17. Let it stand for a minute or until the cheese melts. 18. 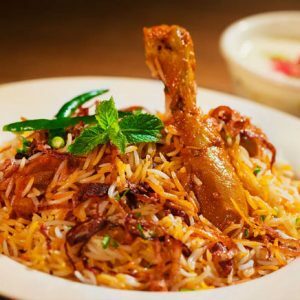 Serve on its own with fries or with pasta or noodles. 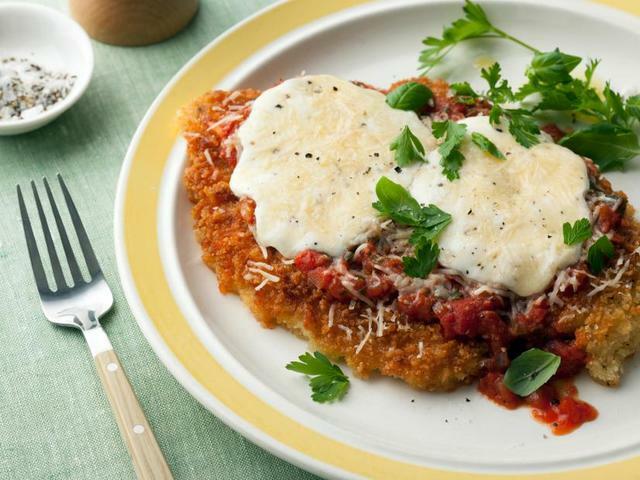 Feel free to comment or share your thoughts on this Chicken Parmigiana Recipe from Awesome Cuisine.